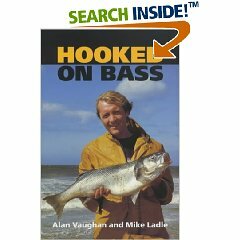 Now an established classic on the subject, this revised and updated edition of Hooked on Bass shows anglers how to catch bass, particularly the bigger fish, from the shore. With excellent photography and clear, detailed diagrams to help illustrate the advice, any angler, beginner or expert, who has caught or would like to catch bass will find endless value in the pages of this book. This is one of the better bass fishing books I have come across. It focuses on shore fishing for Bass, from rocks, beaches and estuaries. So if your looking for a book on how to catch Bass, what tackle and rigs to use, general methods natural baits and best bass venues then this is the book for you. I prefer these types of book as they focus on one fish, and the information is detailed. It has actually got some humour as well, so it makes for a little more interest. Anyway, I wont tell you too much otherwise it will spoil your read.